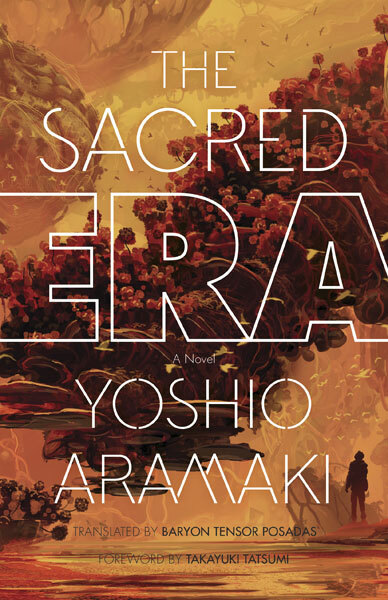 The synopsis of Yoshio Aramaki's The Sacred Era set my hopes high, leading me to choose it from the long list of books PopMatters made available for review. Yet in a most disappointing turn of events, the basic details of the narrative of The Sacred Era far outshine its actual execution. As science fiction grounded in a fictionalized Christian philosophy, with world-building that combined futuristic technology with archaic societal organization, The Sacred Era had the potential to be far more enchanting and thrilling than it ever was at any point. The basic plot outline is as follows: the protagonist, known only as "K," is chosen to leave his rural village to take a specialized service exam in the capital city of the post-apocalyptic Christian-ish empire of Igitur. Once he passes the extremely difficult logic- and theology-based exam, he is introduced to a world of privileged knowledge not only about his civilization's own religious philosophy, but about how this philosophy intersects with metaphysical and scientific concepts of space (and time) travel. Once he has joined this privileged elite, he is assigned to conduct research on a mysterious planet known only as "Bosch," and along the way learns the truth of his society's religious beginnings and scientific capabilities. It's quite a mouthful, and not exactly easy to distill in only a few sentences, but nonetheless the concept was extremely interesting to me, as someone who enjoys books like David Mitchell's Cloud Atlas and The Bone Clocks (and Haruki Murakami's 1Q84 to a lesser extent). Namely, I find myself gravitating towards stories that combine fantasy, science fiction, and more recognizable elements of life into one grand, tied-together conclusion about our world (or a world much like our own). 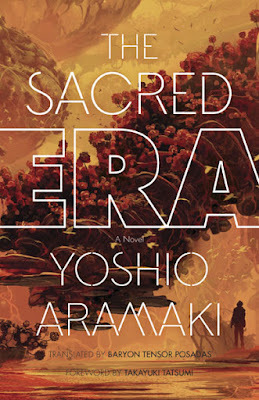 The Sacred Era promised a twist on this kind of narrative, albeit with an additional emphasis on Bible-esque themes of holiness and heresy. You can read the rest of this review at PopMatters.